When you visit Stetson University, Florida’s first private university, you’ll be greeted by palm trees, an outdoor pool, rocking chairs and hammocks. Located in DeLand, central Florida, less than an hour from Orlando and 30 minutes from Daytona Beach, Stetson students enjoy a graciously comfortable 178-acre campus which is designated by the National Register of Historic Places. Stetson houses four schools: the College of Arts and Sciences, School of Business Administration, School of Music and the College of Law. Its most notable and popular majors are business and the sciences, particularly biology. There are approximately 3000 undergraduate and 1000 graduate students. Stetson boasts outstanding academic opportunities for its students. All students in the School of Arts and Sciences are required to do research in their senior year, affording them the opportunity to work closely with Stetson faculty. All business students are required to do an internship, ensuring work and networking experiences help students with job placement upon graduation. Selected seniors may participate in the George Investment Center, where they learn to trade investments using real money and a real stock portfolio. The Center’s students have gone on year after year to distinguish themselves by winning investment competitions. Within 6 months of graduation 91% of all Stetson students (not just business majors!) are either employed or in graduate school. 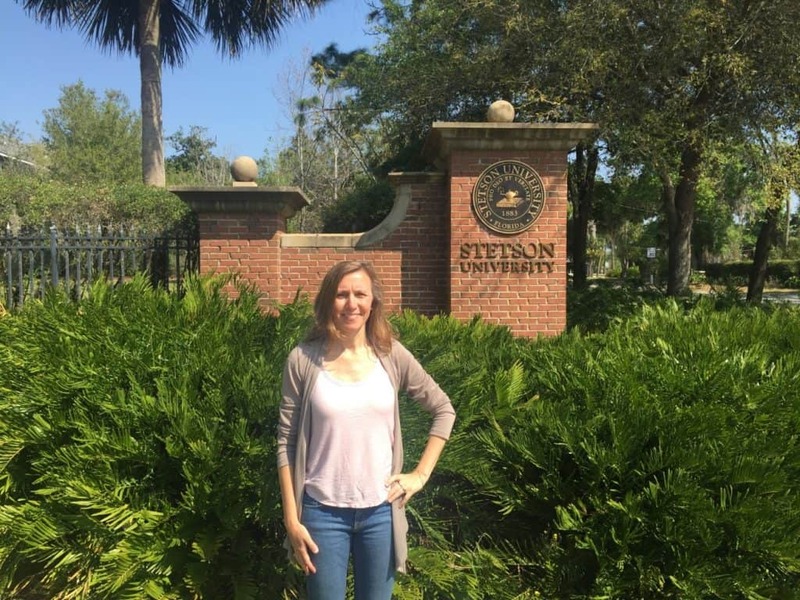 Other unique aspects of academics at Stetson include a robust honors program which encourages interdisciplinary student designed majors and the ability to automatically earn a language minor or a major through a semester or a year of study abroad in a non-English speaking country. Outside of the classroom Stetson University students are active community members through athletics, volunteerism, campus clubs and Greek life. 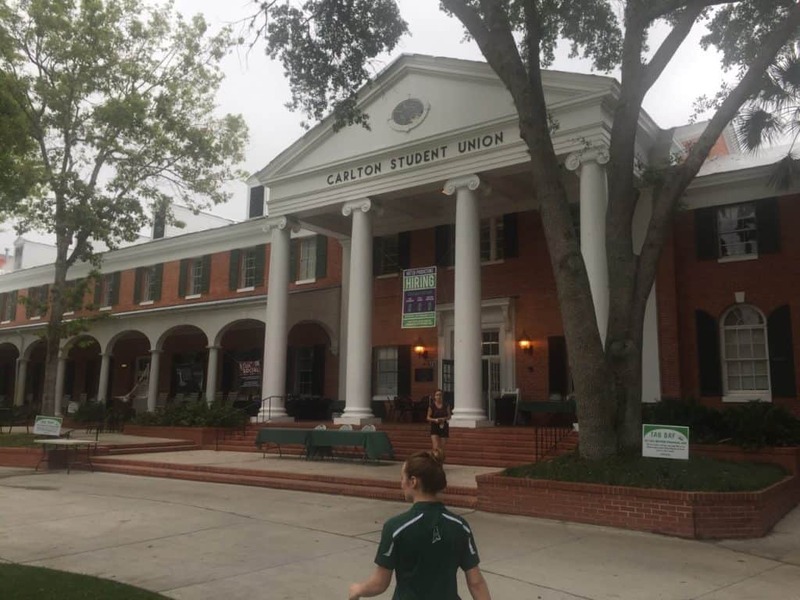 About a third of Stetson students are in a fraternity or sorority, so while Greek life is a presence and an option, it does not dominate campus culture. Stetson supports 18 D1 athletic teams, all of which (except football) compete in the Atlantic Sun Conference. Volunteerism is a particular passion at Stetson. In the past two years Stetson students logged over 130,000 volunteer hours. Stetson University is a pet-friendly campus, evidenced in several ways. One is that Stetson offers pet-friendly housing which allows students to bring a pet from home to live with in their residence hall. Stetson also supports several programs to enable students to train service animals, so it is not uncommon to see students engaged in such work on campus. Stetson offers generous financial aid options, with 92% of its students receiving financial aid. Many scholarships are available, some based on talent such as athletics, music or a passion for service. There are also program-specific scholarships, for instance in the areas of humanities, business, and sustainability, among others. Stetson University meets a high percentage of demonstrated financial need, and also gives generous merit-based scholarships to about one-fifth of its students who have no financial need. For the purposes of admission and aid, Stetson is test-optional. Jennifer visited Stetson in spring, 2017. You can scroll through all of her photos from her visit below.